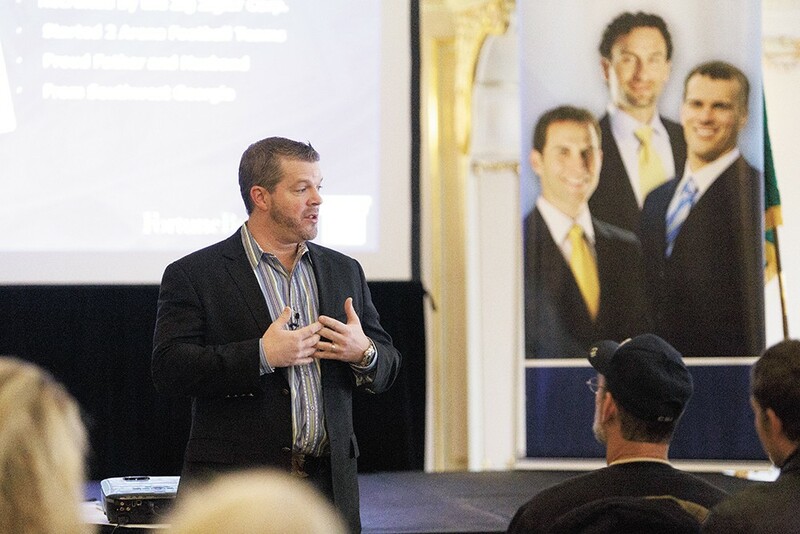 A FortuneBuilders seminar at the Davenport Hotel. Soon Natoli’s clicking through slides — a smiling photo of his family; sailboats gliding on a glassy blue lake — reeling off a long list of what the audience could do if they just had more money: spend more time with their family, give more to their church, spend more on their cars, housing, restaurants, traveling, fishing, hunting. For weeks, a deluge of advertisements for these FortuneBuilders seminars flooded Spokane radio stations. Call now, said the voice of Than Merrill (FortuneBuilders founder, ex-NFL player, former Flip This House star) and get two free tickets to learn how to rake in profit with very little risk. Spokane is the perfect market, he said, for house flipping — the practice of buying homes, fixing them up and selling them quickly for tidy profits. Yet wherever this sort of seminar arrives, it’s accompanied by warnings from local consumer advocates, cautioning that the big promises come with some serious caveats. Even back in 2005, when shows like Flip This House and Flip That House debuted amid skyrocketing home prices, media outlets warned that house flipping made for a very risky investment. After the economy crashed, a Federal Reserve Bank of New York study confirmed house flippers had played a major role in driving the housing bubble up to its dangerous, dizzying heights. Tony Natoli: "How many people ... think that this old south Georgia boy is here to sell you something?" But the recession didn’t stop house flipping; it just slowed it down and changed the strategy. A glut of foreclosures meant a glut of investment opportunities as foreclosed properties hit the auction blocks. Merrill had only been investing for about three years when the housing market began to teeter. But that didn’t stop Merrill, in his late 20s, from launching his housing seminar business and starring on the third, fourth and fifth seasons of A&E’s Flip This House. His business has thrived amid the recession, growing more than 800 percent over a three-year span. In 2010, Inc. magazine called FortuneBuilders the fastest growing education company in America. “The last thing you want is people speculating in real estate without an education,” Merrill says. That education, however, has a big price tag. “How many people out there today here think that this old south Georgia boy is here to sell you something?” Natoli asks. “Well, I will not let you down.” The crowd laughs. Briefly, Natoli gives specific advice, listing basic tips for rehabbing homes, introducing concepts like “wholesaling” and “hidden markets.” But a major chunk of the seminar’s two hours focuses on selling the crowd on the next event, a three-day training session at the Spokane Convention Center in December. That one isn’t free. A sizable number of attendees trickle to the back tables and write a check for the next event. Rich Curtis, an associate broker from Sandpoint, is one of them. He’s been to plenty of similar seminars, and always finds something useful. “I continue to find new things, new bits and pieces and add them to the repertoire,” Curtis says. Not everyone bites. Ed Osinski, a contractor who specializes in concrete curbing, suspects that at the three-day training, FortuneBuilders would try to sell him on even more events and products. He’s right. 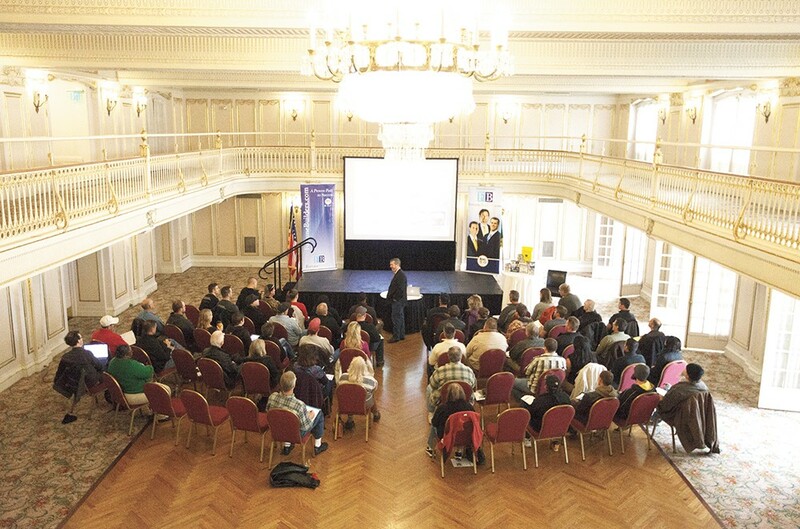 Attendees at the three-day training, Natoli confirms, are pitched even more extras. Those may include Merrill’s $3,000, four-day boot camps or more intensive “mastery” programs that can climb as high as $25,000. Even the “Marketing for Deals Home Study Course,” a set of two audio CDs, two manuals, and a computer CD full of forms, scripts and templates, runs a steep $1,197. But Merrill suggests thinking about all the money that could be saved — or earned. “You could lose a lot more money not knowing what you’re doing versus having an education,” Merrill says. While the FortuneBuilders website has dozens of testimonials from satisfied customers, anonymous comments on the scam-spotting website Ripoff Reports were split: Some claimed Merrill’s three-day training sessions were useful, while others say it amounted to a $200 infomercial for his pricey mastery program. In market after market, the Better Business Bureau has issued warnings against such seminars, including Merrill’s. In particular, the entire Flip This House brand has come under fire. One star, Sam Leccima, was hit by major fraud allegations in 2007. A FOX Atlanta news investigation found what he portrayed on the show was almost entirely fictional: Leccima didn’t have a real estate license, didn’t own the home he was renovating, renovated only part of it and lied about selling the home at all. He says consumer advocates often haven’t even attended his seminars before issuing warnings. But at the Better Business Bureau in Cincinnati, Jason McGlone has. His verdict was that some people might learn a thing or two, but he doubts forking over thousands of dollars is worth it. In the radio ads, Merrill claims Spokane is the perfect market for his system. He explains that the region’s low price point — plenty of homes under $250,000 — make it ideal for flipping. It’s an iffy claim. In October, listing service RealtyTrac named the high-priced home-flipping markets as the hottest, with the low-end market having decreased significantly. The pricey Seattle, Portland and Las Vegas markets all made RealtyTrac’s recent list of the top 15 house-flipping markets. Spokane County ranked in the high 70s. Merrill argues his system relies on solid home improvements, not appreciation. “If you’re relying on home appreciation, I think you’re gambling,” Merrill says. But Bornhoft names another massive catch, one Natoli never discusses in the seminar: Washington state law. In Washington, a 2007 law made it illegal for anyone who isn’t a registered contractor to buy a home, put more than $500 into refurbishing it and then sell it in under a year. When he asks how many are contractors, however, only a few raise their hands.